I ate 4 lbs of frozen ground beef. Posted May 30th, 2014 . 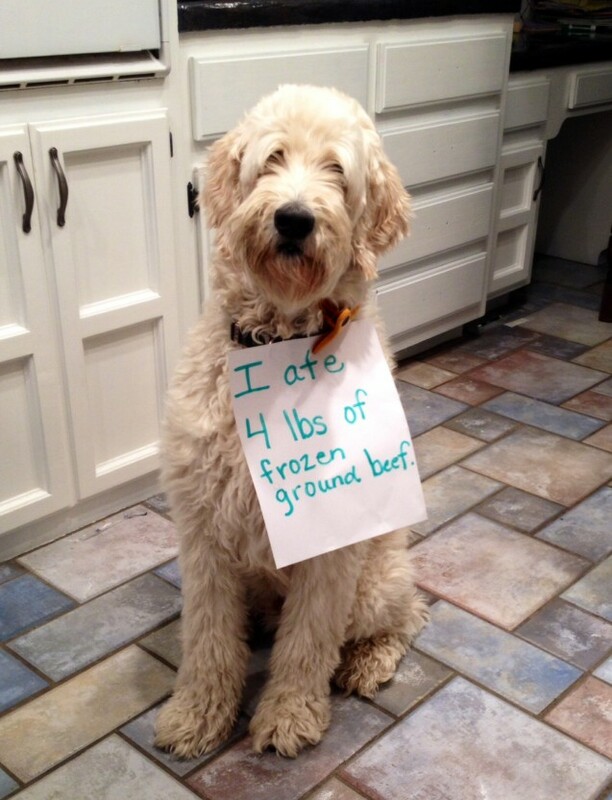 My youngest Doodle ate 2lbs. of raw ground beef and she had pretty awful diarrhea for a couple of days. It’s too rich for doggies! Naughty!